the baby skin line is gentle enough even for infants. high percentage of extra virgin olive oil makes the soaps exceptionally mild. the scentless options minimize possible irritants for the little ones’ delicate skin. great for adults with problem skin as well. soaps in the sensitive skin line are made with nourishing oils and luxurious butters. all colorants and additives used are natural botanicals or mineral powders. scenting only with pure essential oils reduces possible of irritants, and provides extra skin-loving benefits. this is where we get to have all the fun! the seasonal line is updated every few months, which allows us to play with different colors, techniques, and fragrances. these make the perfect little gifts! items in this line are made in limited quantity, so get them while they last. this is for all the fellow coffee addicts out there! coffee is well known for being naturally rich in antioxidants and its ability to reduce puffiness by promoting blood circulation. fine coffee grounds added to soaps are also great natural exfoliators that gently remove the old surface layer of our skin. 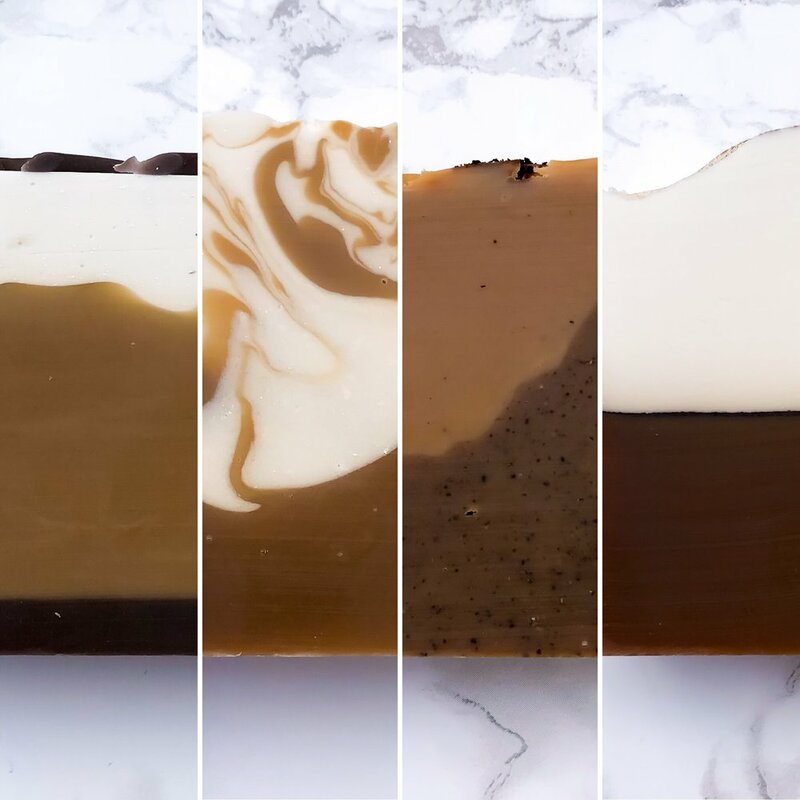 in the process of creating a line of coffee soaps, C+B serendipitously discovered the cool little company that is Kipsy Coffee. they specialize in packaging high end pre-ground coffee in single serving filters, allowing you to make pour-over coffee anywhere. who doesn’t want conveniently brewed coffee that actually tastes good! the Kipsy x C + B collab is also featured on the Kipsy Coffee website!